Can you believe January is almost over?? 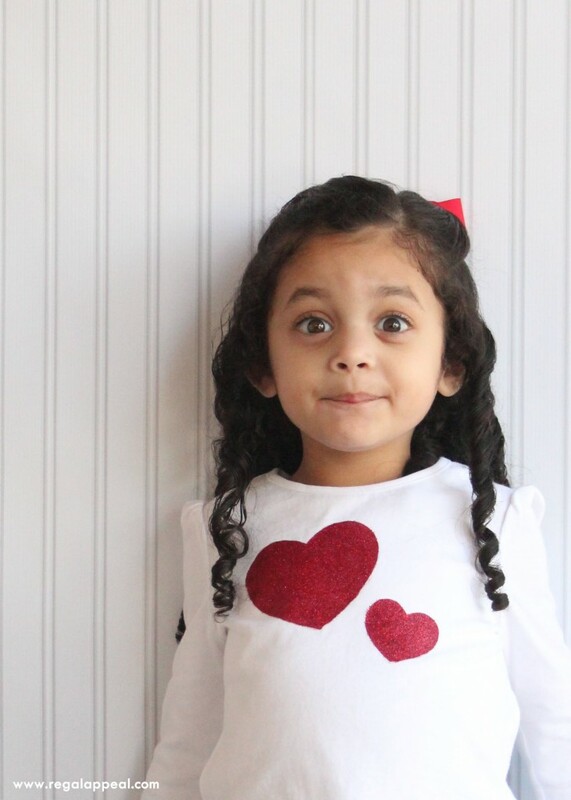 Which means February is upon us, which means VALENTINE’S DAY is just around the corner! 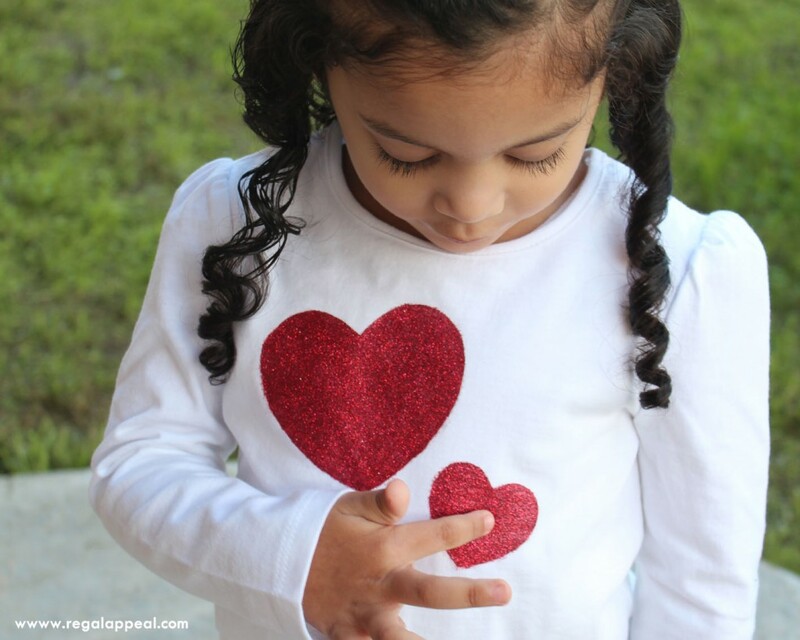 I thought it would be the perfect time to share this super easy, super awesome, fairly inexpensive Glitter Heart DIY Tutorial with you. 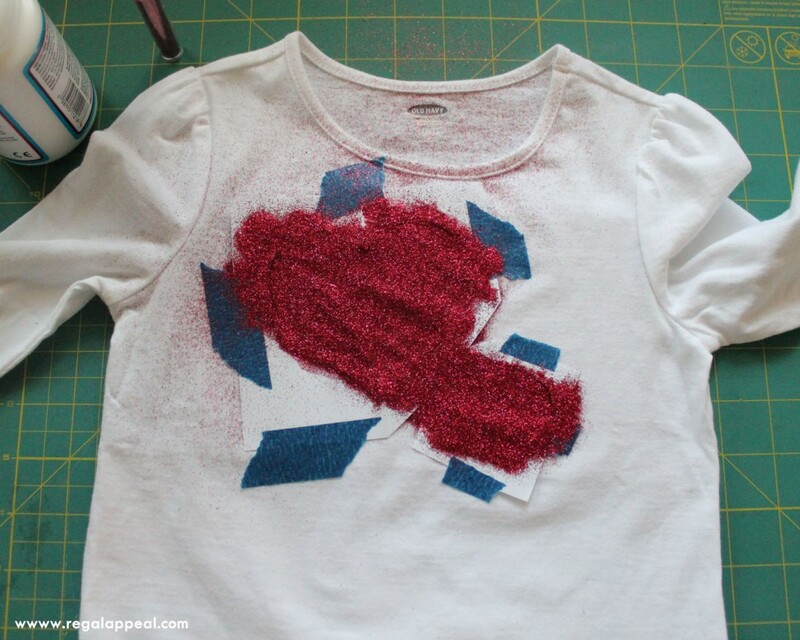 What’s so awesome about this tutorial is that it can be used for adults as well as kids on Tshirts, Jeans, Hats, ….even as elbow patches, the possibilities are endless! 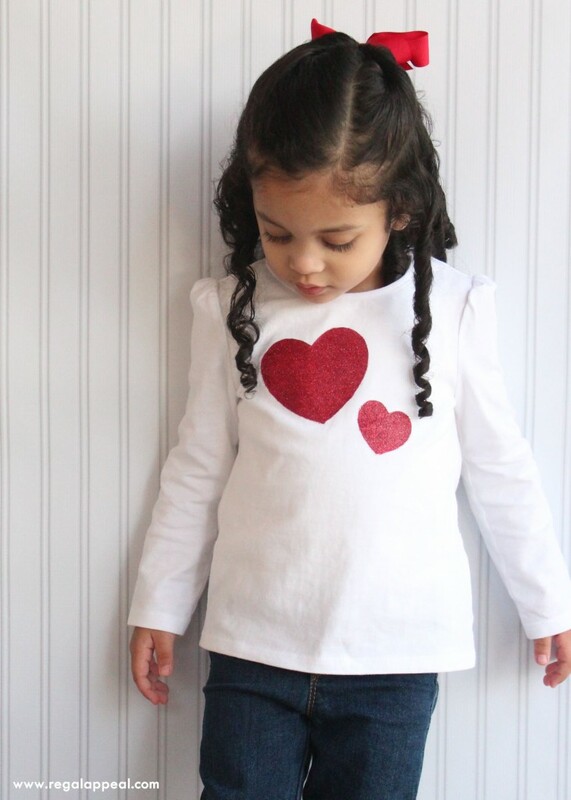 Today, I’m going to show how I used this tutorial and template to create this super cute, sparkly, heart top for Abbie. 7. Heart Temple: Click to download: HEART TEMPLATE here. 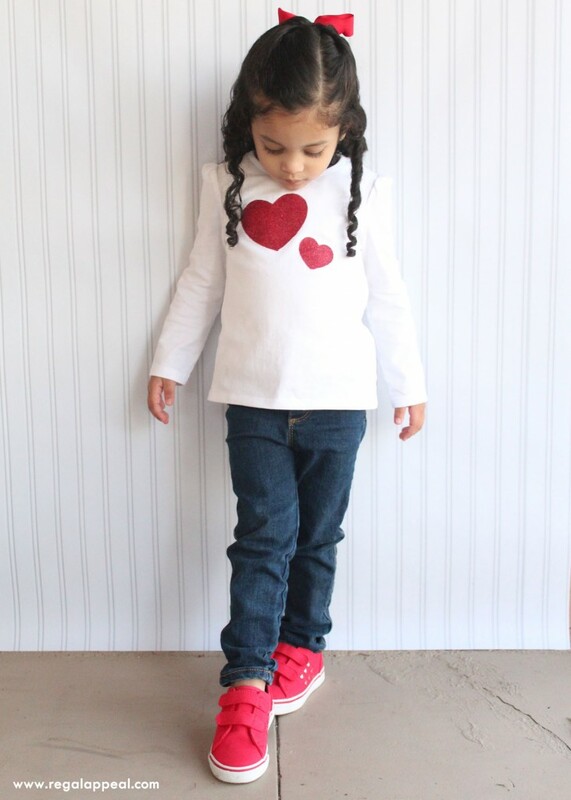 STEP 1: PRINT OUT HEART TEMPLATE and CUT OUT HEARTS (I already did that in the above picture) Feel free to print out different size hearts and get creative; I scaled the first heart at 120% and the smaller one at %50. 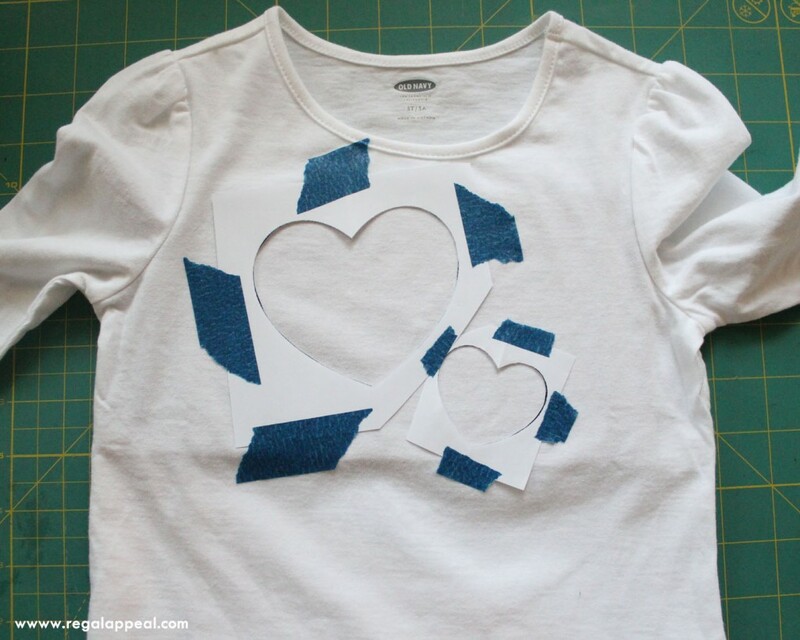 STEP 2: Choose your design positions and tape down template on T-shirt. 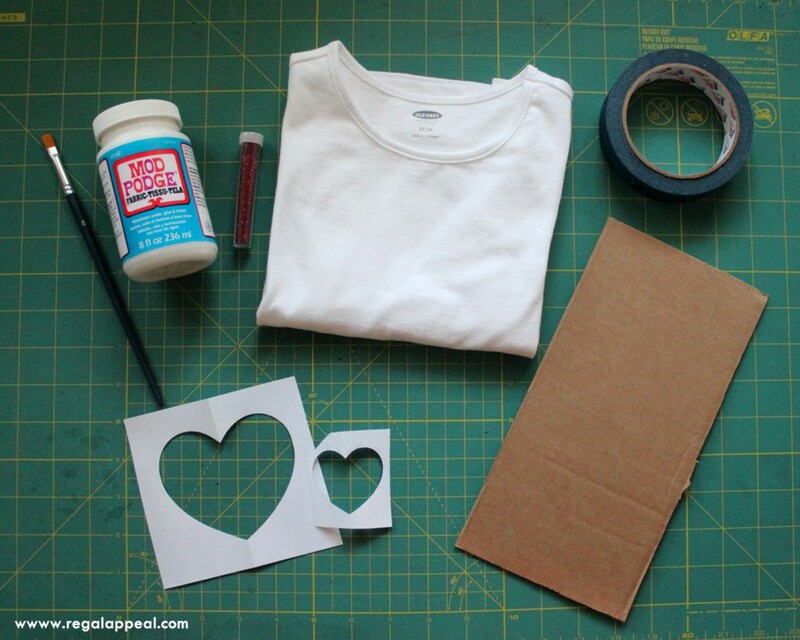 BE SURE to place card board (or a sturdy piece of paper) BEHIND the area you will be painting. This will prevent the front and the back of the shirt from sticking together. 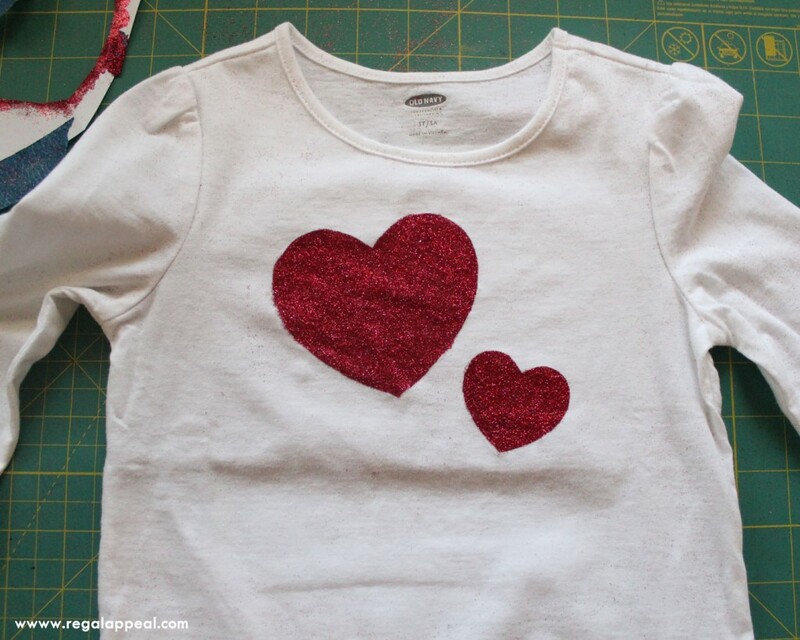 STEP 3: Paint Mod Podge into the cut out heart and cover the painted area with glitter. I recommend a generous cover just to be sure you get a nice, full glittery finish. Leave to dry for about 2 hours (the least). STEP 4: After the painted area has dried, remove template and excess glitter. 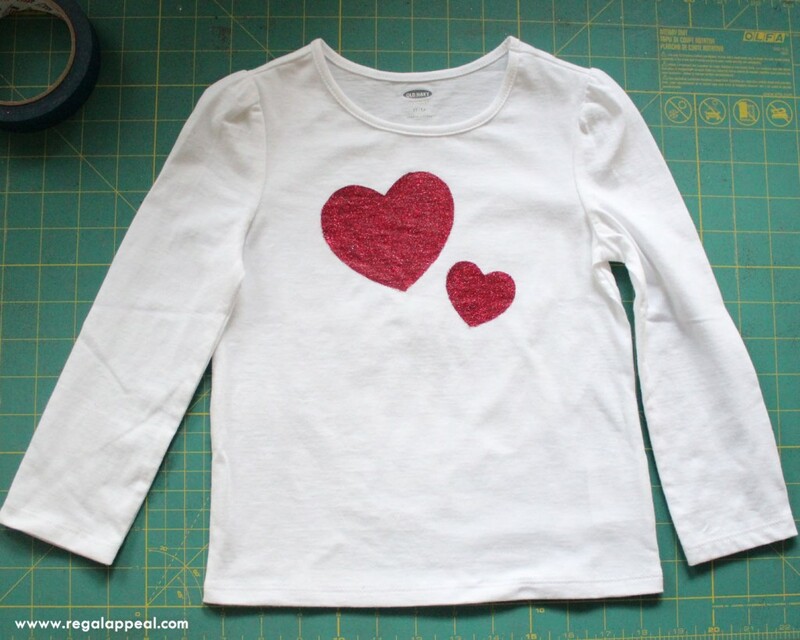 STEP 5: To seal the glitter in and prevent it from coming off in the wash, use your paintbrush and carefully paint over the entire glitter heart with a thin layer of Mod Podge. 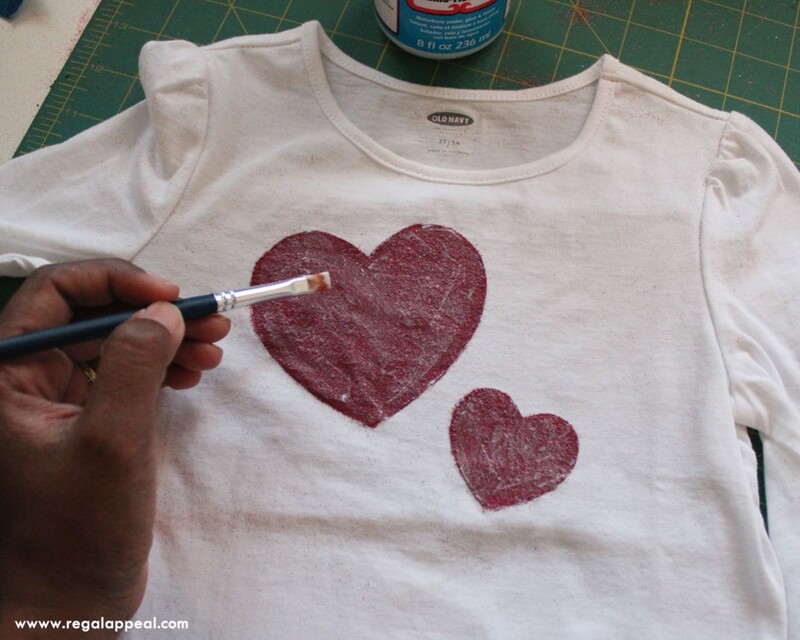 (This is why I love Mod Podge so much, it acts as a sealer, glue and finish!) Leave to Dry for about 3 hours. I left mine to dry overnight. 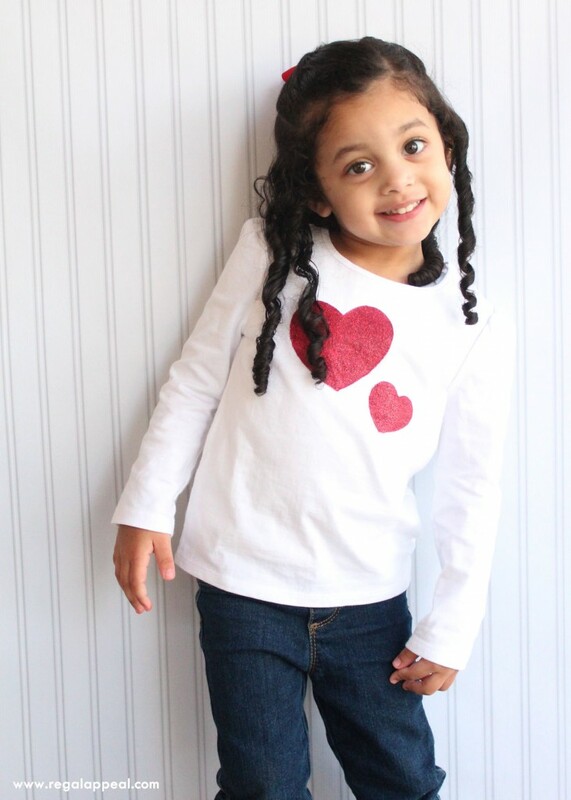 Here is the finished product – SUPER CUTE AND SPARKLY RIGHT?! !? Hope you guys enjoyed this tutorial! I’m looking forward to seeing just how creative you can get!! It doesn’t have to be a heart either, you can pretty much use any shape design you’d like! Be sure to comment here on the post or tag me on Facebook or on IG so I can see your wonderful, glittery creations!! Looking forward to hearing from you! Happy Crafting!! !